It is widely agreed upon that human capital is the most valuable asset in any organization, yet the procurement of this invaluable asset has been largely undervalued. Until very recently with the rise of big data and workforce analytics, proving the business value of recruitment has been nearly impossible. It has been easy enough to prove that recruitment is needed, but to what extent depends on a number value that was previously unattainable. 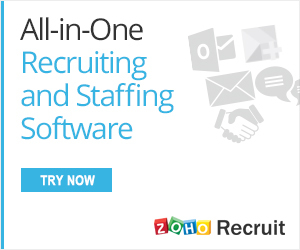 A special thank you goes out this month’s Leadership Sponsor, Zoho Recruit. Please visit their site to understand how their quality services can elevate your recruitment practices. Although employers are beginning to realize how valuable talent attraction is, there is still a surprisingly popular notion that anyone can fill the role of a recruiter. Those buying into the idea that anyone armed with LinkedIn (which is everyone with Internet access) can fill the role of a recruiter are essentially implying that the procurement of their most valuable business asset doesn’t need to fall into the hands of a professional. While this is admittedly an oversimplification of the idea, the fact remains that Web-based products and services haven’t replaced the professional recruitment function, and they never will. A popular phrase has recently popped up in hiring: “the soft stuff is the hard stuff.” By “soft stuff,” recruiters mean soft skills, like cultural fit and those other factors that can’t be taught. They are hard to identify and assess. That could be why 89 percent of hiring failures are the result of poor cultural fit. 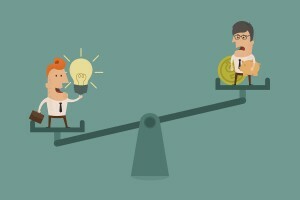 A SHRM study found every time a business replaces a salaried employee, it costs about 6-9 months’ salary on average. For a manager making $40,000 a year, that’s $20K-$30K in recruiting- and training-related costs. Cultural fit is a necessity in the hiring process, but it takes an understanding of the balance between the necessary hard and soft skills. It also requires assessment knowledge to effectively establish a connection. Not surprisingly, the identification and assessment of such soft skills and cultural fit isn’t simple. If it were, we wouldn’t be able to blame cultural fit for 89 percent of failed hires. It takes someone experienced to handle the complicated task of assessing cultural fit and soft skills. It sounds far too simple to be a valid argument, but the recruiting field entails so much more than simply finding the right person for the right job, and this fact is commonly overlooked. Recruiters have industry knowledge that makes them irreplaceable. They know about industry-specific talent supplies and demands, which play vital roles in quality attraction. Because of this in-depth knowledge, recruiters know how to create compensation packages and job offerings that will keep quality talent coming in. Very often, the skill of a recruiter is diminished in the eyes of the hiring manager because they make what they do look so simple. What those hiring managers seem to forget is that recruiters are experts in recruiting. Their job takes a considerable amount of patience, skill, and experience. As mobile recruiting, social recruiting, and alternative talent communities continue to grow, organizations need people versed in all recruiting mediums, functions, tools, and processes. While job boards are still relevant, they are no longer the only talent attraction method. By depending solely on job boards, employers are limiting their reach, essentially stifling the growth of their talent pools. Specialization and expertise will always create efficient processes that lead to savings in vital business resources. Recruiters are an excellent example of efficiency through specialization. The natural inclination for many employers or hiring managers who believe recruiting will be easy is to try and do it themselves. What they don’t realize is how costly the margin of error in recruiting actually is. There are any number of roadblocks in recruiting that can end up costing far more than an external recruiter’s fee or recruitment budget. Speed of hire becomes increasingly vital as the importance of the role increases. Great candidates won’t wait around for a lengthy and unresponsive candidate experience. Silicon Valley-based HR thought-leader Dr. John Sullivan estimates the recruiting loss from missing a single “game-changer, purple squirrel, or innovator recruit” to be over $1 million. When hiring managers are out of their depth, it leads to these lengthy hiring times, as there is no one truly dedicated to expediting the process. As mentioned, quality talent won’t wait around, so as the time-to-hire lengthens, your recruiting pool dwindles down to the weakest of the original pack. It’s embarrassing and damaging to your employer brand to low-ball high-quality talent because you don’t know the current compensation standards for their industry, location, talent demand status, and experience level. More damaging: you will miss out on the talent. Conversely, not having all-industry knowledge about compensation best practices can lead to offering a compensation package that wrecks your budget. Hiring too quickly without proper assessment also comes with its costs. The leading reason companies make bad hires is hiring too quickly. Forty-one percent of companies surveyed say a bad hire in the last year has cost them at least $25,000. Quality assessment is essential to recruiting success. One of the more obvious — yet overlooked — cases for the positive business value of recruiters is the division of labor in the recruiting process. Their resources, networks, and specialized skills lead to reduced hiring times, increased retention rates, savings in recruitment error costs, and much more. They can source, vet, and place talent in a much more efficient cycle than anyone trying to build these processes on their own from scratch. No internal resources are wasted unnecessarily. Specializing in recruiting means having a far clearer and more grounded perspective on the process, job requirements, and expectations. Recruiters can more accurately decipher between the must-haves and the nice-to-haves. Recruiters also understand realistic expectations, because they know what’s going on in the passive and active talent worlds. They know the answers to the questions that a non-recruiter wouldn’t know to ask. They have the information and skills that save resources, craft optimal job offers to effectively attract candidates, and set realistic expectations for both the candidate and the hiring manager. The reality recruiters bring to the processes keeps hiring times low, job listings realistic, and the employer brand attractive. There is a gross misunderstanding about the true cost of recruiting and hiring. The idea that the cost to hire is about whatever the going rate for a job board listing is is completely inaccurate. About 36 percent of companies either do not know how they track hiring or do not track at all. This is one of the major expenses in any organization, and it’s not even being tracked. When it is being tracked, there are a number of expenses that go unaccounted for, because someone with no background in recruiting wouldn’t know how to identify or calculate the costs. Whether internal or external, recruiters bring with them expertise, knowledge, and skills that streamline the otherwise disjointed and costly recruiting process. A Novo Group survey found that companies with centralized recruiting had a better understanding of their talent acquisition spend. The average estimation of the true business value of recruitment will be inaccurate unless someone specializing in recruiting (a recruiter) reveals the upfront, hidden, and hard-to-calculate costs in the process, from lost productivity due to extended time-to-hire, to stress on employees from a dispersed workload, to misallocated recruitment spend due to ignorance. In short, there is a strong business case for recruitment.